This chapter reviews the significant space probes used to explore the solar system. Many probes were sent into space but were unsuccessful or made insignificant contributions. The probes examined here have added greatly to our knowledge of the planets in the solar system. 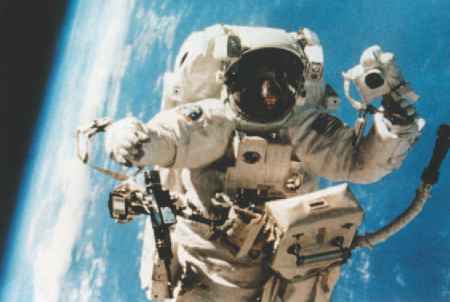 Since the early space missions put humans into orbit around Earth, many advances have been made in space technology. It is now possible to send space probes deep into the solar system to explore other planets. Humans have only travelled as far as the Moon and back, but robotic space probes have been placed on the surface of planets like Venus and Mars, as well as on the surface of an asteroid and Saturn's moon Titan. Probes have been used to explore distant planets like Jupiter and Saturn. tell what elements are present, infrared detectors are used to measure temperatures and detect molecular gases, magnetometers measure magnetic fields, and radar is used to measure surface features. The first planet to which humans sent a spacecraft was Venus, the closest planet to Earth. Venus is similar in size and mass to Earth, and has always been of interest to humans. Mars was the next planet to which a probe was sent, followed by Mercury. Some of these early space probes were successful while others failed. 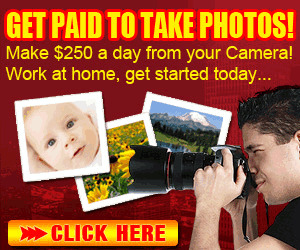 All, however, provided information and experience that led to future success. Early spacecraft sent towards the Sun included Pioneers 5, 6, 7, 8 and 9. These probes were launched between 1959 and 1968 by the USA and are still in solar orbit, but most have ceased functioning. The US solar probe Explorer 49, launched on 10 June 1973, is now in lunar orbit. Helios 1 and Helios 2, launched by the USA and West Germany in 1973 and 1976 respectively, came within about 45 million kilometres of the Sun. The Solar Maximum Mission (SMM) launched in February 1980 by the USA was designed to provide coordinated observations of solar activity, in particular solar flares, during a period of maximum solar activity. The probe malfunctioned in 1981 and was repaired by a space shuttle crew in 1984 and functioned until 1989. On 12 February 1961, the Soviet Union launched Venera 1 towards the planet Venus. Two weeks after launch, radio contact with the probe was lost and the probe missed the planet by 97 000 km. It ended up going into orbit around the Sun. Venera 2 also missed the planet, while Venera 3 crashed into Venus. The first probe to return atmospheric data from the surface of another planet was Venera 7, in 1970. A few years later, in 1975, Veneras 9 and 10 were the first spacecraft to return images of the surface of another planet. Two more Soviet probes, Venera 11 and Venera 12, were sent to Venus in 1978. Both probes made a chemical analysis of the Venusian atmosphere. In 1981, Venera 13 sent back coloured photographs of the surface of Venus and analysed soil samples. America's first successful probe to fly by another planet (Venus) was Mariner 2, in December 1962. Infrared and microwave detectors on Mariner 2 confirmed that Venus was a very hot planet with a cloud-covered surface and an atmosphere composed mainly of carbon dioxide. The probe also discovered that, unlike Earth, Venus did not have a magnetic field or radiation belts. Three weeks after the Venus fly-by, Mariner 2 went off the air and it is now in solar orbit. Mariner 3 was launched on a mission to Mars on 5 November 1964, but it was lost into interplanetary space when it was unable to collect solar energy for power. The next planetary probe, Mariner 4, was successful at reaching Mars in 1965, and it sent back the first close-up images of the Martian surface as it flew within 9846 km of the surface of the planet. The images showed Mars to be a cratered world with an atmosphere much thinner than previously thought. The thin atmosphere was confirmed to be mostly carbon dioxide, and a small magnetic field was detected. Mariner 4 is now in solar orbit. Mariner 6 (1969) and Mariner 7 (1969) measured atmospheric conditions and produced 201 photographs, including the first close-up images of the Martian polar cap. 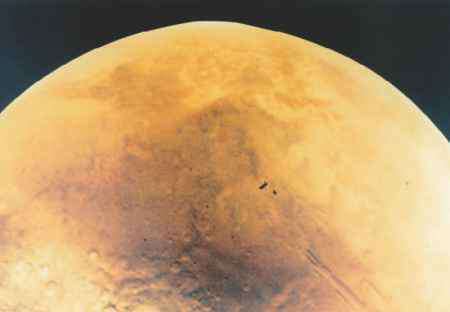 The most successful of the early Mars missions was Mariner 9, which orbited Mars for 349 days beginning in November 1971. Mariner 9 returned images showing huge volcanoes and giant canyon systems on the red planet's surface, and provided pictorial evidence suggesting that water once flowed across the planet. The probe also took the first close-up views of the two Martian moons, Phobos and Deimos. Figure 2.2 Some of the Mariner space probes. the first close-up images of the atmosphere of Venus in ultraviolet light, and showed that the cloud system circles the planet in four Earth days. It recorded circulation in the Venusian atmosphere and showed the temperature of the cloud tops to be -23°C. Mariner 10 took more than 10 000 photographs of the moon-like cratered surface of Mercury, with 57 per cent planet coverage. A weak magnetic field was detected on Mercury, but no atmosphere. Mariner 10 is now in solar orbit. The USA began its exploration of more distant parts of the solar system with the Pioneer 10 and 11 space probes, launched in 1972 and 1973. These craft were designed to survive the passage through the asteroid belt and Jupiter's magnetosphere. The asteroid belt was relatively simple to pass through since there were many gaps, but the space probes were nearly fried by ions trapped in Jupiter's magnetic field. In December 1973, Pioneer 10 was the first spacecraft to fly by Jupiter, passing within 130 000 kilometres of the cloud-covered surface. Twenty-three low-resolution images were returned to Earth showing Jupiter's turbulent atmosphere and the Great Red Spot. Data were collected on the temperature and pressure in Jupiter's atmosphere, and three of Jupiter's moon's detected - Europa, Ganymede and Callisto. Pioneer 10's greatest achievement was the data collected on Jupiter's magnetic field, trapped charged particles, and solar wind interactions. About a year later, Pioneer 11 flew to within 48 000 km of Jupiter's surface and sent back 17 images of the planet. The space probe used the strong gravitational field of Jupiter to swing it on a path towards Saturn, a journey that was to take five years. In September 1979, Pioneer 11 passed within 21 000 km of Saturn's surface, and it returned 440 images and data about Saturn's moons and its ring system. Today Pioneers 10 and 11 are no longer functioning, but both are still travelling at about 12 km/s and heading in opposite directions away from the solar system into deep space. Each craft carries a plaque with a graphic message to inform anyone out there about the solar system, the Earth, and the human race. The Viking space probes were the first spacecraft to conduct long-term research on the surface of another planet. Each of the two unmanned probes consisted of an orbiter and a lander. stretching out as far as its cameras could see. Although the craft was programmed to search for micro-organisms, no conclusive evidence of life was found. The sky of Mars was found to be pink as a result of sunlight reflecting off the reddish dust particles in the thin atmosphere. Light winds were measured, with gusts up to 50 km/h, and temperatures ranged from -30°C to -85°C. Viking 2 was launched on 9 September 1975 and arrived at Mars on 7 August 1976. The lander touched down in a different region from Viking 1 on 3 September. This second lander was able to detect a movement in the Martian crust (a Marsquake). Between them, the landers sent back 4200 photographs from Mars's surface, while the orbiters sent back 52 000 photographs covering most of the planet as seen from orbit. Viking 1 kept functioning until late November 1982, while Viking 2 stopped functioning in April 1980. The USA launched Voyager 1 and Voyager 2 in 1977 on a mission towards Jupiter, the largest planet in the solar system. These probes flew by Jupiter in March and July of 1979 respectively before proceeding to Saturn. Each Voyager was equipped with high-resolution cameras, three programmable computers, and instruments to conduct a range of scientific experiments. Voyager 2 was launched sixteen days before Voyager 1, but Voyager 1 took a faster, more direct route to reach Jupiter first. Thousands of photographs were sent back to Earth as the Voyager probes passed Jupiter. The two probes discovered that Jupiter has a complex, turbulent atmosphere with lightning and auroras. A ring system and three new satellites (moons) were also discovered. Another major surprise was that one ofJupiter's moons, Io, has active sulfurous volcanoes. 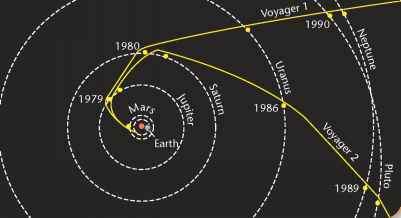 Figure 2.5 Paths of Voyager 1 and Voyager 2 through the solar system. Both probes used the gravitational pull of Jupiter and Saturn to accelerate them further out into the solar system. This process is called gravity assist.